Keep the party going after New Year's while maintaining your resolution to lose a little weight by opting for lower-calorie "skinny" cocktails that pack the same punch as other drinks - but without the pounds. Try these cocktails and see if you even miss those empty calories. Margaritas are a cocktail staple all year long, but its identifiable mix sweet, salty and sour doesn't have to come with tons of sugar. Rethink your classic margarita recipe to make something tasty in your frozen concoction maker that can help keep down your daily calorie count. To make your margaritas skinny, you don't need to change some of the most important ingredients. Salt, limes and tequila are fine no matter what. Try switching out classic sugar, orange juice or liqueurs with agave nectar, lime-flavored sparkling water, sugar-free lemonade mixes or natural lime juice. Health magazine explained that some restaurant margaritas can have up to 500 calories, but making your own can let you cut that number by more than half. When it's a hot day, nothing can be as refreshing as a icy mojito, but if it's too sweet or loaded with calories, it can be hard to enjoy more than one. Luckily you can savor this summer treat at home with a few calorie-lowering alterations. 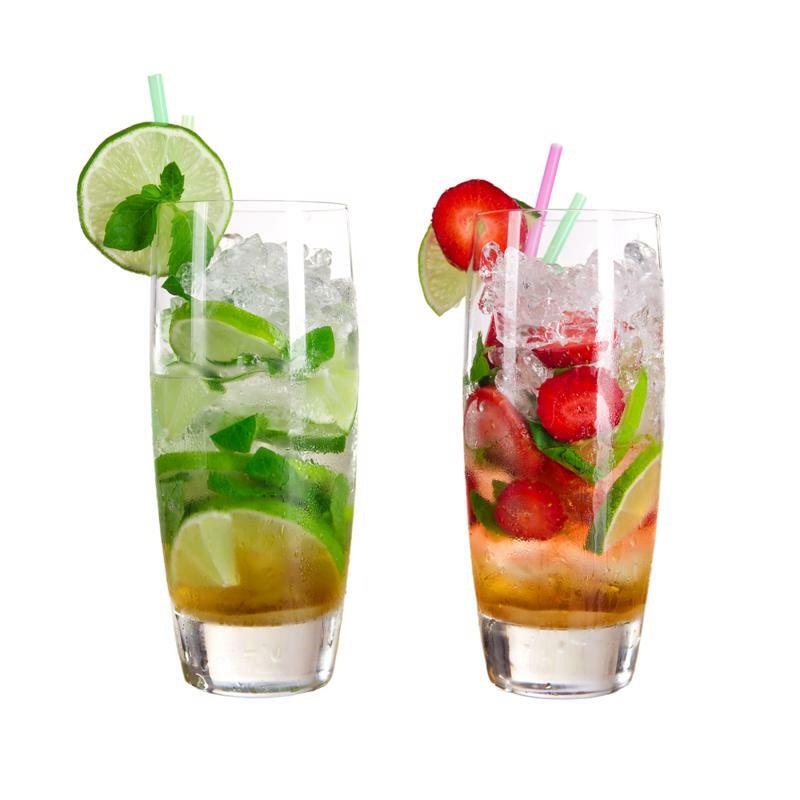 Rather than mixing your rum, club soda and mint with some normal granulated sugar, opt for a fruity twist instead. Use frozen watermelon cubes, bits of grapefruit or extra lime for a naturally sweet touch. Another option is to switch out the sugar for agave nectar or an artificial sweetener - with the mint and rum flavors already, you may not even notice the difference. Avoid sugar in your mojitos for fewer calories. Daiquiris are a great tropical cocktail option whether you're on a beach or relaxing at home, but the amount of sugar some of these frozen drinks pack can be too much. Luckily, you don't need on sugar to make a delicious daiquiri. Instead, focus on the strawberry. Using cut fresh or frozen strawberries won't just add a sweet and flavorful taste to your daiquiri but also a nice, authentic texture. If you still find yourself needing a little extra sweetness with your strawberries, rum, lime and ice, try using sugar-free flavored water, seltzer or simple syrup made with stevia. Cooking Light magazine explained that a classic piña coladas has more than 400 calories as well as 8 grams of saturated fat, much of which is from cream of coconut. But you don't need this creamy additive to enjoy a piña colada, and you certainly don't want the caloric consequences. Instead, try using coconut flakes and evaporated fat-free milk, the magazine advised. Others turn to coconut water, agave nectar, fat-free coconut cream or just coconut flavor to cut the calories significantly without sacrificing that unique taste.